Ah! I love love LOVE Skoop! I’ve reviewed it before as well–it’s the only protein powder I’ve ever actually looked forward to adding to my foods. 🙂 I usually add it to my smoothie bowls or oatmeal. I think I have been scarred by too many bad protein powders.. Or maybe my expectations are too high. I know it’ll never be a vanilla shake but I haven’t found something I can stomach yet. Maybe I need to try skoop. Yeah anyone who tells you it tastes like dessert is lying. It’s just not. But truthfully this was the best I’ve tried and the best part is it didn’t hurt my stomach at all – sometimes other protein powders have if just add it to almond milk and drink it alone. You need to try casein protein in oatmeal- it’s so good (dependant on brand)- I love protein powder (some brands, again) and use it regularly- cross your fingers because I’m trying to perfect the protein brownie. No sponges please. Nom nom skoop. I honestly can’t get into chia seeds. Probably because I really don’t need more fiber in my life. I can get into Skoop, though. For obvious reasons. Lol fiber overload is definitely never good. Yup we’re Skoop sisters! Lame, I know. Love Skoop! I’m going to be talking about them next week but their powder isn’t chalky at all… I was pleasantly surprised. Isn’t Skoop so good? Best protein powder out there in my little opinion. I mean it tastes good, it doesn’t irritate my stomach, it has GREAT ingredients, and it’s a small business…it doesn’t get any better than that. I have never tried Skoop but have heard about it on many blogs recently. That maple cinnamon chai pudding sounds delicious! It’s a great fall flavor combo! Love chia seeds! Not sure how I’d like the pudding but I’d be willing to try it! 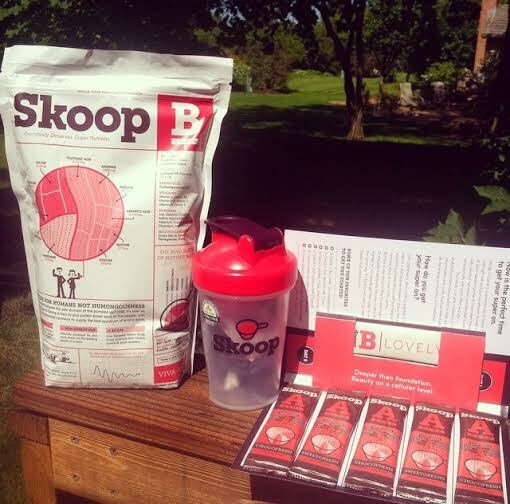 i’m a Skoop fan as well, and have been since they sent me samples months ago and asked me to blog about them, too! 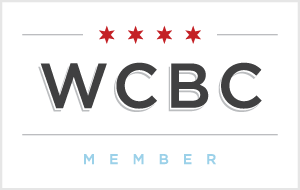 such a cool company (who doesn’t love a start-up from CO?! ), and their products really speak for themselves. yum! I love that they’re a startup too! The ingredients, the business, the taste/quality…it just all points to a really dedicated, successful business. Love supporting them! YUM. 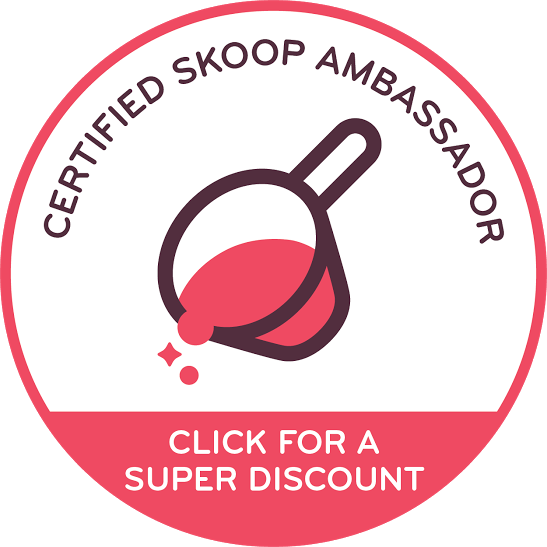 I’ve never heard of Skoop before but now I certainly want to try their products! Ha, I’m chuckling at your sponge protein brownie comment — been there, done that as well! I love chia pudding, but I haven’t added protein powder to it before. Great idea! So basically you start your day with dessert? Um I’m on board. As long as it’s fullll of protein otherwise I’ll be hungry so so soon. I’m just not a french toast/pancakes gal for breakfast unless there’s eggs on the side. Protein is oh so important to start your day with! I love Skoop as well. I had been on the hunt for a decent protein powder as well and have hated all of the plant based powders until this one. And i LOVE to bake with it as well! I love it so much that I decided to become an authorized dealer! http://mamarunsforcupcakes.healthyskoop.com I LOVE their supergreens too, I love to mix in my greek yogurt! And love the idea of putting it in the chia pudding, didn’t even think of that! Thanks for stopping by my blog! Glad to have found you! I like the supergreens too! They scared me at first but they actually taste really good! I think the fact that it’s plant-based is why it never hurts my stomach which is so rare to find in a protein powder. 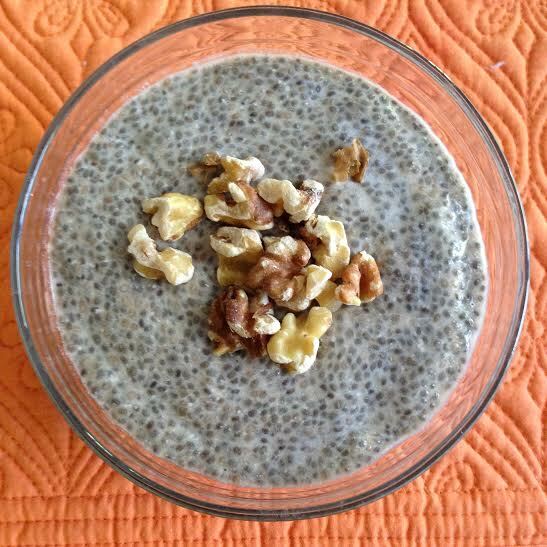 Im in love with chia puddings – they make the best quick and healthy breakfasts ever! I need to expand my horizons now! Maybe a pb and banana one next?? Yum! I’ve actually never tried protein powder before! I know people love it but I’ve just never got on board. This sounds really good though! It’s tricky because it always comes in huge bags/jars aka you have to commit to a lot and spend a lot of money on something that usually doesn’t taste great. So….yeah I don’t blame you haha. I do wish companies sold smaller containers of it! 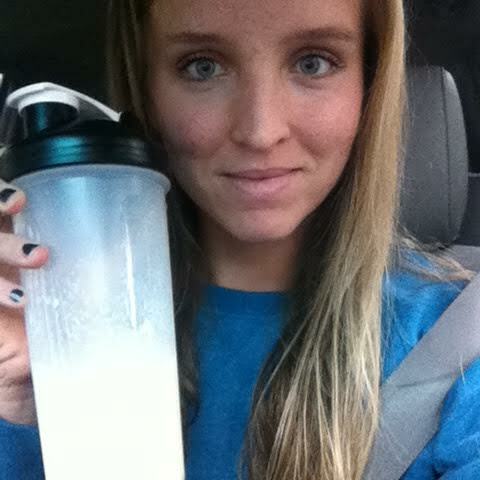 I made a Skoop protein smoothie this morning…LOVE that stuff! 🙂 I will definitely try this out, because I’m always looking for a good chia pudding recipe and adding Skoop sounds PERFECT…Thanks for sharing!